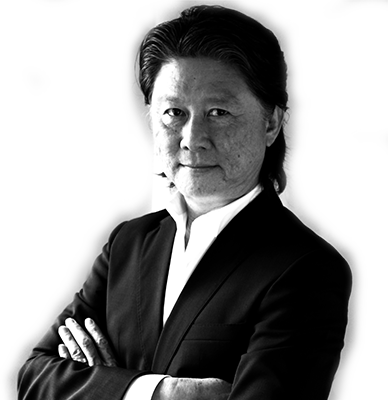 Known for his astute marketing acumen and sharp strategic direction, Peter is a veteran of the Advertising and Branding industry and one of the main reasons for the establishment of 95% together with CEO Janet Lee. As the CEO of his own agency Gan For Hire since 1997 and though still actively running it, Peter makes time to consult on corporate culture and share his vast knowledge and experience in advertising and marketing as the lead trainer of 95%’s Strategic Thinking and Client Management programmes. 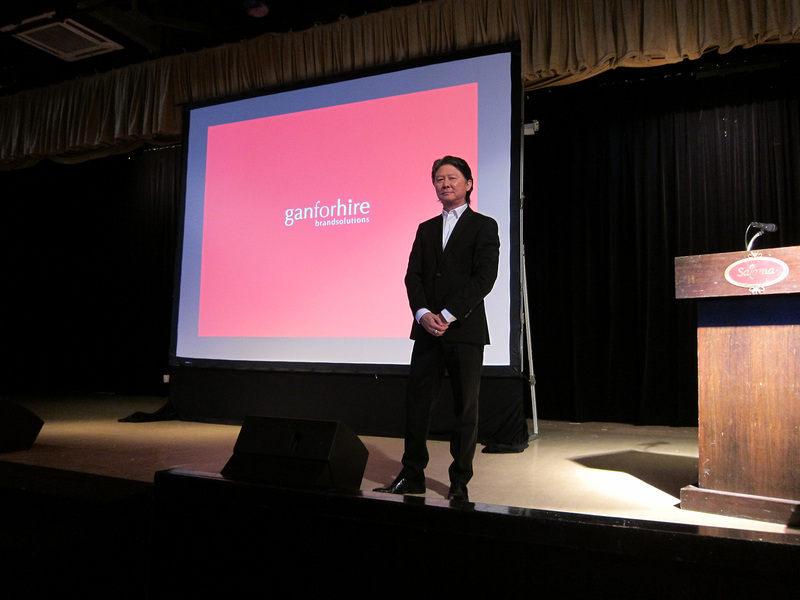 Peter shares his vast experience on the power of branding and strategy at a conference. With over 28 years of experience in Branding, Peter brings creativity and inspiration to the Visioning Process. He’s an expert at asking questions that provide clarity and elevate thinking to a higher level so that company leaders can uncover their greatest truths. 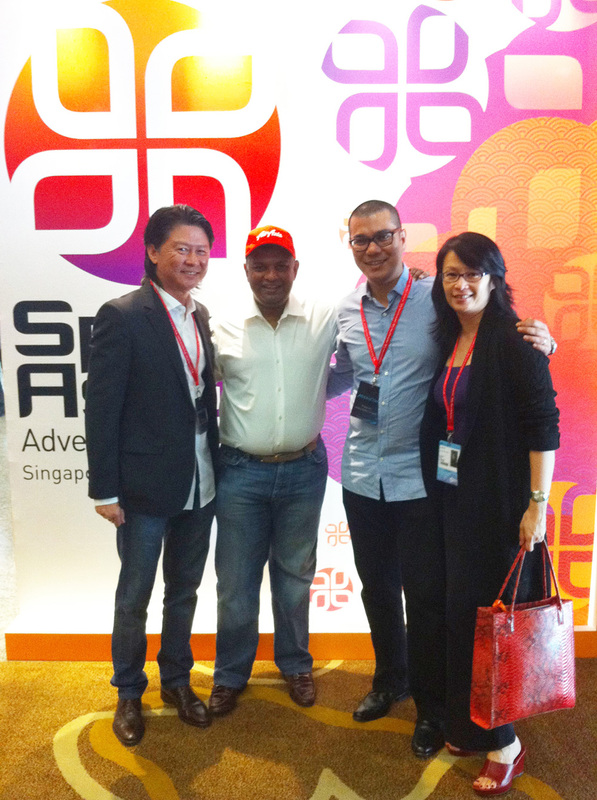 (from left) Peter Gan, Tony Fernandez, Shaikh Shahnaz and Janet Lee meeting at Spikes Asia. He is passionate about facilitating Visioning and Strategy sessions for corporate leaders, and has inspired numerous companies to develop compelling visions. One of his happiest achievements was when he designed and led MDeC’s Brand Mastery Series which guided local technopreneurs to conceptualise and build their brands. The programme was so successful that upon seeing the results of the first intake, MDeC immediately commissioned two more intakes. In addition to setting up his own agency, Peter was also one of the eight founding members of Spider Network launched in 1992. His sharp strategic direction resulted in the company breaking even in profits within the first year of operations. His direction and leadership also inspired the creation of the GE White On White campaign which was Malaysia’s first triumph in the international awards scene and created a sold out situation for his client.